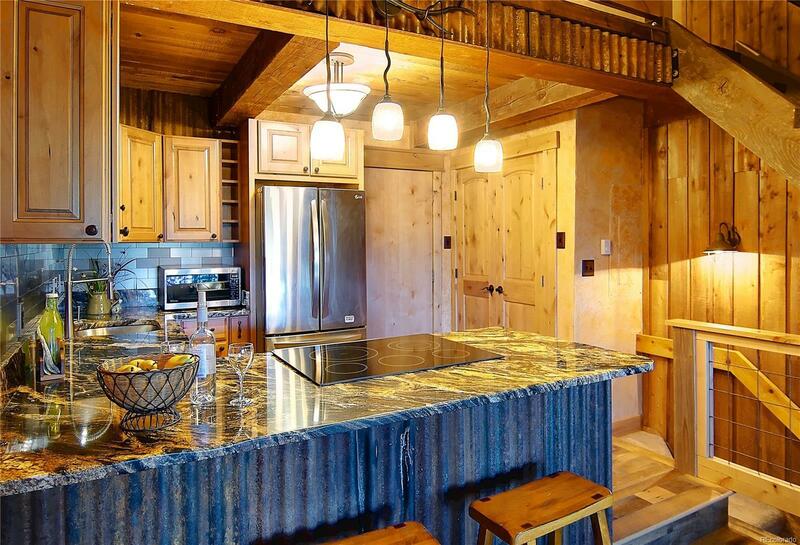 Mountain condo updated with rustic industrial touches!Walk in to a fully remodeled kitchen with slab granite counters, stainless appliances, new cabinets and hardware. No finish has been overlooked, from the beautifully textured walls, reclaimed hardwood floors, exposed bolts, tiled wood burning fireplace, all the way to the vaulted ceilings! Floor plan includes extra loft area to be used at your discretion as an office, art studio or even guest room. Lower level offers retreat to updated bedroom and bathroom. Bathroom features detailed tile work with granite vanity. Barn doors compliment the entire lower level and lead into the master bedroom with sliding door access to patio. Master includes extra closet in addition to a walk-in closet with custom built ins with high end hardware. This retreat is located just five minutes from Steamboat Springs, and set in an alpine serenity! Timbers Condos amenities include sauna/hot-tub, pool table/ game lounge, fitness facility and laundry area.